‘We hold that the judgment reported in Karnataka State Road Transport Corporation, Bangalore Vs. B.A. Jayaram and others - 1984 (Supp) SCC 244 is no longer a good law’, said the Bench. A Constitution bench of the Apex Court in G.T. Venkataswamy Reddy vs. State Transport Authority has held that no private Bus operator can operate his vehicle on any part or portion of a notified area or notified route unless authorized so to do by the term of the scheme itself. The Bench comprising of Chief Justice of India T.S. 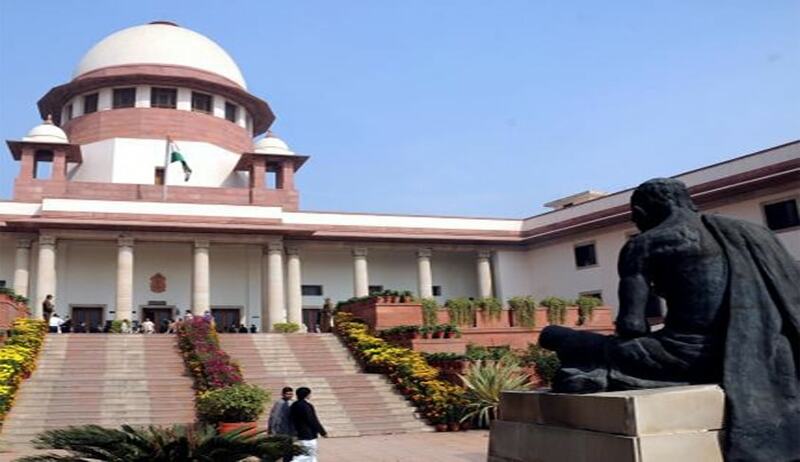 Thakur, Justices Fakkir Mohamed Kalifulla, S.A. Bobde, R. Banumathi and Uday Umesh Lalit, said that the private operators may not operate on any part or portion of the notified Route or Area on the mere ground that the permit as originally granted to him covered the notified Route or Area. Chapter IV-A supersedes any inconsistent provisions in Chapter IV. The policy of the Legislature is clear from Section 68C that the State Transport Undertaking may initiate a scheme for the purpose of providing an efficient, adequate, economical and properly coordinated road transport service to be run and operated by the State Transport Undertaking in relation to any area or route or portion thereof. It may do so if it is necessary in the public interest. Grant of variation under Section 57(8) will be as good as grant of a new permit. Once a scheme formulated under Section 68D gets approved under 68D(3) of Chapter IVA, then all the permits in the route / area covered by the scheme will get frozen by virtue of operation of Section 68FF. The effect of Section 68FF can be altered / modified / cancelled only in the manner as provided for under Section 68E and in no other manner. By virtue of the above, either a grant of a new permit or the variation of an existing permit of private operator cannot be ordered in respect of an area or route covered by an Approved Scheme. Increase in the number of trips or vehicles which were being run under the existing exempted permit under a Scheme will amount to grant of a new permit to operate one more Stage Carriage which is not permissible under Section 68FF. The proposition of law, laid down by the Court in ‘Karnataka State Road Transport Corporation, Bangalore Vs. B.A.Jayaram and others -1984 (Supp) SCC 244’ impliedly stood overruled in ‘Adarsh Travels Bus Service and another Vs. State of U.P. and others (1985) 4 SCC 557. The economy and coordination, two of the factors, which govern the Approved Scheme, will be seriously infringed if the variation is to be granted of the existing permit condition. Even if there is an interstate agreement under Section 63 of the Act for increasing the number of trips, such an agreement cannot override the provisions of Chapter IV-A by virtue of Section 68B of the Act. Section 63 being in Chapter IV of the Act, the Scheme approved under Chapter IV-A will prevail over it. (l) The Approved Scheme will exclude the operation of other stage carriage services on the Route / Area covered by the Scheme, except those whose names are mentioned in the Scheme and to the extent to which such exception is allowed. The provisions in Chapter IV-A are devised to override the provisions of Chapter IV and it is expressly so enacted, the provisions of Chapter IV-A are clear and complete regarding the manner and effect of the “takeover” of the operation of a road transport service by the State Transport Undertaking in relation to any Area or Route or portion thereof. “Having regard to the above propositions, which we are able to arrive at, we hold that the judgment reported in Karnataka State Road Transport Corporation, Bangalore Vs. B.A. Jayaram and others - 1984 (Supp) SCC 244 is no longer a good law and the decision reported in Pandiyan Roadways Corporation Ltd. Vs. M.A. Egappan - (1987) 2 SCC 47 stands approved which is in tune with the Constitution Bench decision reported in Adarsh Travels Bus Service and another Vs. State of U.P. and others -Page 42 (1985) 4 SCC 557 and the observations made in R.Raghuram Vs. P. Jayarama Naidu and others – 1990 (supp) SCC 361 stands approved”.